Smooth, finely cracked pale grey or bluish-grey thallus, often tinged orange or greenish with inconspicuous or dark prothallus. 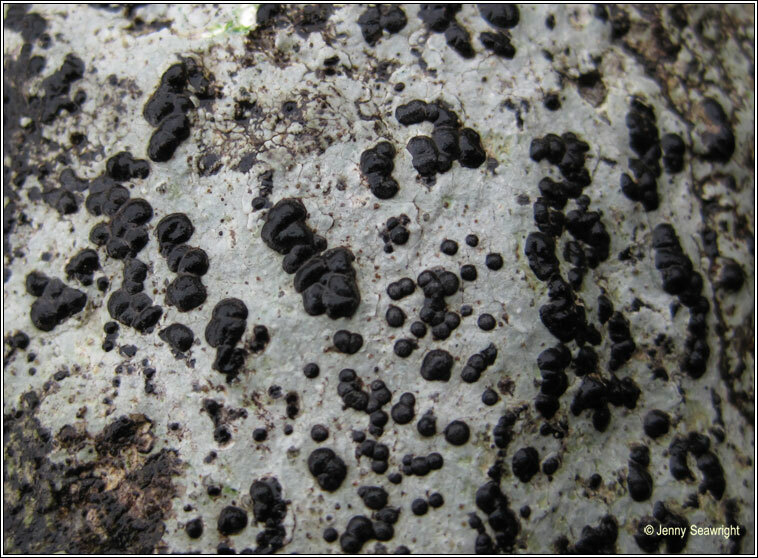 Large scattered black apothecia, convex when mature, occasionally pruinose. 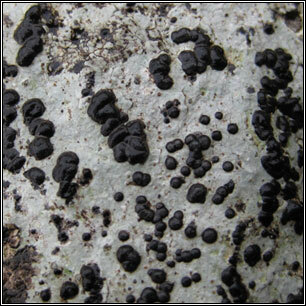 Abundant black pycnidia. 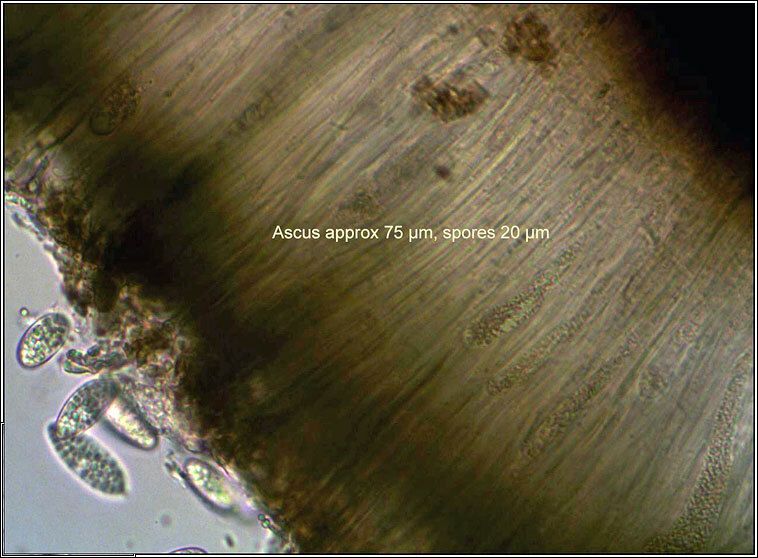 Asci 8-spored with colouless simple spores, 18-23 x 7-9 µm. Microscope photographs below. 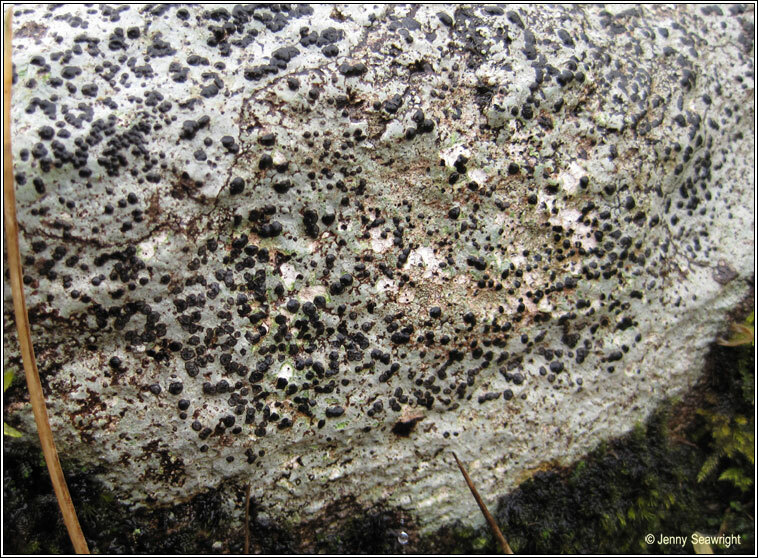 Found on siliceous rocks in and beside upland loughs and streams and on flushed moorland rocks. Chemical reactions negative. Epithecium greenish-blue in section. 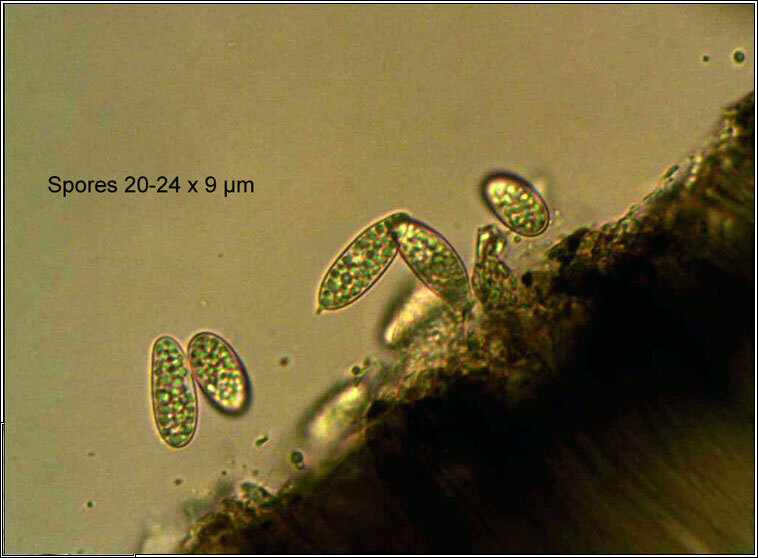 Similar: Porpidia cinereoatra, epithecium brownish-green.